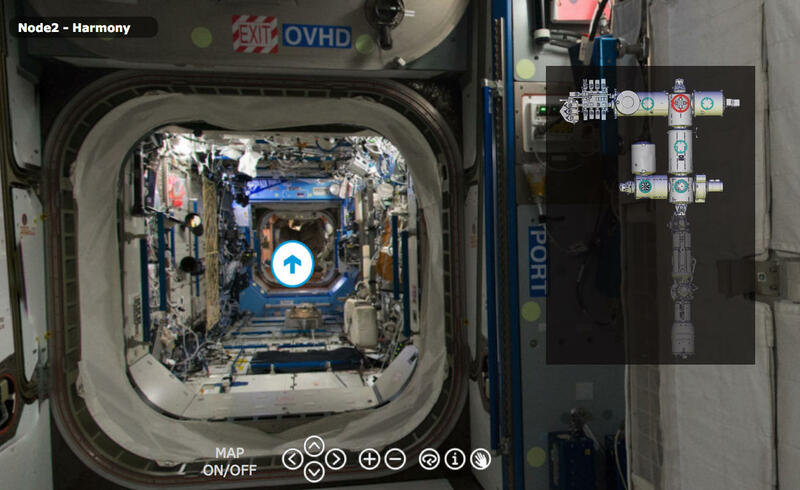 While we've seen lots of photos and videos of the inside of the International Space Station (ISS), seen what our planet looks like from aboard the orbiting outpost and even heard what it sounds like up there, your chance to actually guide yourself through the various modules that comprise the station has been limited. That changed in June, when the European Space Agency (ESA) put up a website that allowed you to pilot your mouse around the Columbus module, the ISS research pod deployed by the ESA in 2008. 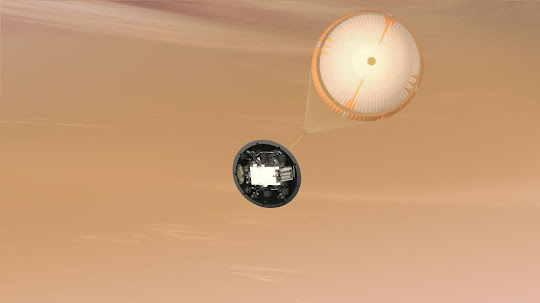 Now, the ESA has expanded its virtual tour site to include five more modules. In fact, all of the modules are now online except for the Russian ones, which the ESA says will be released later this year, so you can now click around quite a bit of the Space Station. 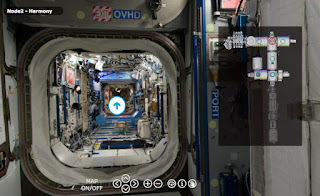 The virtual tour was created from photos taken by Italian astronaut Samantha Cristoforetti in June 2015, just before she left the space base, after spending 199 days aboard. Growing up in rural Puerto Rico, I loved to explore and build things. Yet the thought of becoming a scientist never crossed my mind. Science and scientists seemed foreign and distant. I had never seen a scientist who looked or sounded like me in a book, on TV, or in the newspaper, let alone met one. This experience is shared by many individuals from underrepresented backgrounds in science, technology, engineering, and mathematics (STEM). We rarely see science and scientists presented in a way that is relevant to our reality, cultural values, and communities, in schools or in the media. This lack of representation further marginalizes us from the process of science. I always knew I wanted to use my scientific training to give back to my community. Initially, I thought I would do this by becoming a research scientist and having my own laboratory. However, as I became involved with science communication and outreach initiatives during graduate school, my vision of how I could use science to make meaningful contributions expanded. Being able to communicate science in Spanish, my first language, to my community helped me counter the feeling of isolation that sometimes came with being the only Latina in my class and one of the few in my graduate program. It motivated me to persist and complete my PhD in spite of the challenges. So, when I finished graduate school, I put my pipettes away for good and dedicated myself to a career as an outreach scientist and science communicator. My experiences have inspired me to become a passionate evangelist for building science communications skills, especially among minority scientists. Here I share why these skills are critical in advancing careers, empowering minority scientists, increasing the accessibility of science, and giving back to our communities. Communication is part of a scientist’s everyday life. We give talks, write papers and proposals, communicate with a variety of audiences, and educate others. Thus, to be successful, regardless of field or career path, scientists must learn how to communicate effectively. Unfortunately, this is rarely part of our training. Science communication can offer us powerful ways to develop the ability to deliver an understandable message both to the public and to our peers. Although communicating science to the public may seem very different from communicating science to your peers, the principles that make you successful at both are the same. That’s why public science communication allows you to develop practical skills that will complement and enhance your technical training. Science is increasingly interdisciplinary and the ability to communicate more effectively across disciplines fosters collaboration and innovation. Being an effective communicator can make you more competitive in securing funding or finding a job. It will enhance your networking skills and support your mentoring relationships. It will make you a better teacher and mentor for next-generation scientists. Learning to communicate effectively increases the impact of your work in multiple dimensions. Science communication can empower scientists not just to share their science, but to talk publicly about other relevant issues. For example, becoming more effective communicators can empower minority scientists to speak up about the challenges we face in the STEM fields, to draw attention to the disparities faced by our communities, and contribute our valuable perspectives to the scientific enterprise. When communicating science, context and culture matter. People will more successfully learn science when it is presented in an authentic, meaningful context that includes personal stories and connections to their culture. In communities where scientific role models and contextualized science information are scarce, minority scientists are in a unique position to make science culturally relevant and to be visible as successful role models. 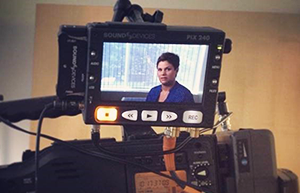 As a minority scientist, being involved in science communication can empower you to be visible and to turn your visibility into power and resources for underrepresented communities. In my experience, having better communication skills has empowered me to become an outspoken advocate for diversity, inclusion, and equity. It has empowered me to take a seat at the table, to become a stronger leader and to be unafraid to share my opinions and perspectives, especially when it comes to issues that affect women and minorities in science. The following are some of the basic principles and strategies of effective communication. You can use these in all contexts, whether you are writing an abstract, preparing a talk, or sending a tweet. Know your audience: Are they your peers? Are they a scientist in a different field? Are they a group of high school students visiting your lab? It is key that you know who you are talking to as that will determine your approach and what you will say. Know your goal: Are you trying to teach your students a new concept? Are you trying to convince an agency to fund your research? You must know what you want to accomplish with your message. Know your "so what" and keep it front and center: What is your main idea? What do you want people to remember after they hear your talk or read your article? Why is your issue important? Make people care: Think about ways you can get people to relate to your message. Tell stories. Use cultural references. Use metaphors and analogies. Use images and imagery. Avoid jargon: If you are communicating with someone who is not an expert, be it a scientist from another field or a member of the general public, you should avoid technical language and use words that are easier to understand to explain ideas and concepts. Remember, not using jargon doesn’t mean you are dumbing it down or making your message less scientifically accurate: it means you are making it accessible. Have talking points and stick to them: In addition to identifying the "so what" of your message, you also need to think about your main take-home messages. What are the three things you want people to take away from what you say? What are your conclusions? Beware of the "curse of knowledge": Once you know something, it is impossible for you to imagine not knowing it. Be careful in assuming that people know exactly what you are talking about and not defining or explaining concepts well. This of course will depend on who your audience is, but beware of making this mistake. Although science communication can benefit and advance your scientific career in many ways, there can still be drawbacks. One thing people are often concerned about is the amount of time it can take away from studying, doing research, working, spending time with family and friends, or free time. Based on my experience, the amount of time science communication activities take depends on what you are doing. Are you blogging? Are you going to a middle school for a half-day to talk to students about your science? Are you tweeting? Two things are very important in getting the most benefit out of communicating science: time management and prioritizing. For example, if you are an undergraduate student who is also doing research, your scholarly activities, not outreach, should be the priority. That is not to say you shouldn’t become involved in outreach, but that outreach should not come before passing your classes or doing your research. Regardless of your career stage, it is important that you identify how science communication can help you advance your career and how it fits with the rest of your responsibilities. To most people, the Rubik's Cube looks like a simple toy. But then they start trying to slide those squares into place, and their brains wonder what the Cube did to them that made them want to hurt it so much. Teenager Collin Burns doesn't see the Rubik's Cube that way. He's been flipping squares since he was a little kid, and he's become so good at solving the Rubik's Cube that he broke the world record for a single solve back in April at the World Cube Association competition. His astonishing time of 5.253 seconds beat the previous record by just under one-third of a second. You might think solving a Cube that fast requires a brain that can also do calculations faster than a calculator or remember at least 3 million digits of pi. However, you don't need a Ph.D. in quantum mechanics to figure out how to solve it, according to a new video from Vox. Burns explains in the video below the technique he learned to solve the Cube. It's called the Fridrich Method and named for Binghamton University engineering professor Jessica Fridrich, who developed it while she was a college student. The method involves recognizing or organizing one set of the colored squares in a cross pattern that establishes that side as the bottom layer. Then Burns solves the Cube in sections above that layer so that just the top row is unsolved. 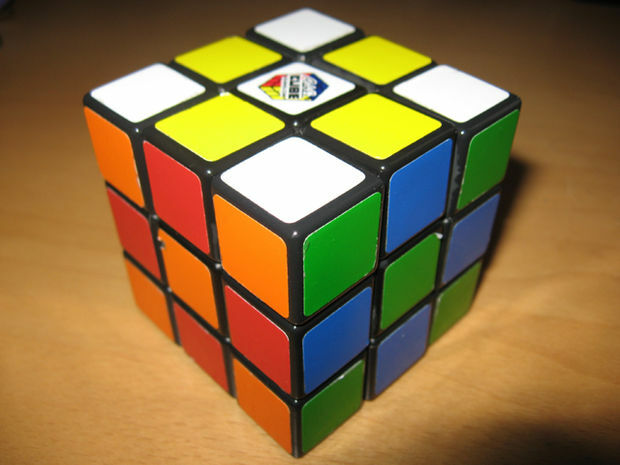 He then applies one of a number of different algorithms to the remaining pieces to put the rest of the Cube's colors in place. Fridrich has her own "Speed Cubing" website that explains her method in more detail. The real key to Burns' success with the Rubik's Cube isn't some magic formula or hormone injections that give his fingers the dexterity of a cheetah (if cheetahs had fingers). The key is practice. He's dedicated a huge chunk of his young life to learning how the Cube works and how to rapidly recall and apply the techniques he's learned so he could improve his solve time over the years. So if you can learn to wait and dedicate yourself for the next 10 years or so, you might be able to beat his record and get your name in the record books. 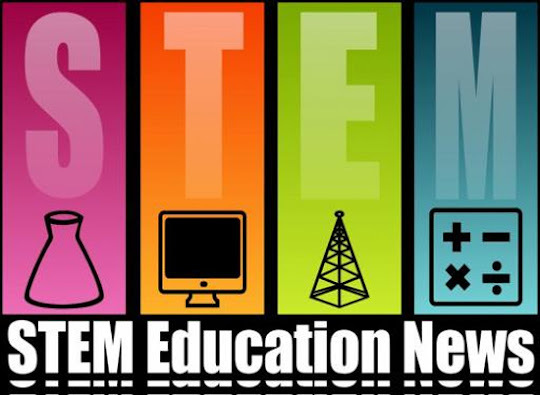 Oodles of Fantastic STEM & STEAM July News at GSGSC! The dozens of women who are powering New Horizons to a history-making July 14 flyby of Pluto look forward to the day when the conversation about gender becomes irrelevant. “Girls will be inspired to be scientists and boys will grow up to be ‘gender blind,’ seeing women in science as the norm," says Young. Grit. 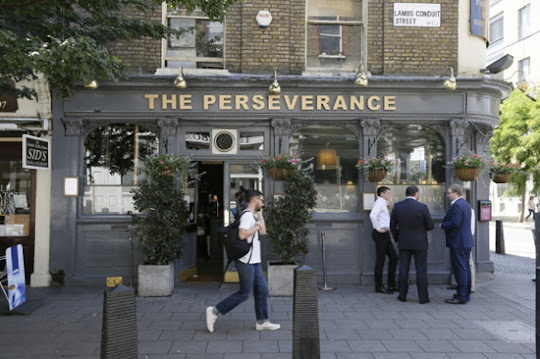 It’s the not-so-new thing in education that has nevertheless become a current watchword, in general for how much students persevere and stay on task. What exactly is it? Is it related to a student’s character? Can it be taught? If so, how? Should it be taught? Does it always produce positive results for students? Can it be measured in any meaningful way? These are questions that have been part of the public education discussion for years (so much so that back in 2012 I published a post titled “Sick of grit already”). Yet there is no consensus on the big questions surrounding “grit.” That, however, is not stopping the U.S. government from deciding to collect data from students about their individual “grit” levels. How? By asking them to rate their own level of grit. But are they good judges of their own abilities in this regard? The National Assessment of Educational Progress, better known as NAEP and long called the nation’s report card because it is the largest nationally representative and continuing assessment of America’s students, is going to start amassing student data on level of “grit” in 2017. NAEP is the legal responsibility of the U.S. Commissioner of Education Statistics, who heads the National Center for Education Statistics in the U.S. Department of Education. The U.S. education secretary appoints the National Assessment Governing Board, which sets policy for the NAEP independent of the department and which works with contractors to create and administer the tests. R&D will have reviewed the core contextual modules three times before any are included in the 2017 NAEP operational administration. These proposed modules include the following: (1) socio-economic status; (2) technology use; (3) school climate; (4) grit; (5) and desire for learning. The Committee’s first review occurred in August 2014, as part of the board meeting. In reviewing the feedback from that session, the overall focus of the comments seemed to lie in ensuring that the questions are inclusive, accessible, and more positive. The background survey will include five core areas—grit, desire for learning, school climate, technology use, and socioeconomic status—of which the first two focus on a student’s noncognitive skills, and the third looks at noncognitive factors in the school. These core areas would be part of the background survey for all NAEP test-takers. In addition, questions about other noncognitive factors, such as self-efficacy and personal achievement goals, may be included on questionnaires for specific subjects to create content-area measures, according to Jonas P. Bertling, ETS director for NAEP survey questionnaires. Will we someday know which states and cities have students with the most grit? And once we know, will officials create courses in how to improve grit? I am reminded of a strange finding that emerged from international background questions two decades ago. Students were asked if they were good in math. Students in nations with the highest test scores said they were not very good in math; students in nations where test scores were middling thought they were really good at math. What does it all mean? I don’t know, but it satisfies someone’s need for more data. In recent years, scholars, practitioners, and the lay public have grown increasingly interested in measuring and changing attributes other than cognitive ability (Heckman & Kautz, 2014a; Levin, 2013; Naemi, Burrus, Kyllonen, & Roberts,2012; Stecher & Hamilton, 2014; Tough, 2013; Willingham,1985). These so-called noncognitive qualities are diverse and collectively facilitate goal-directed effort (e.g., grit, self-control, growth mind-set), healthy social relationships (e.g., gratitude,emotional intelligence, social belonging), and sound judgment and decision making (e.g., curiosity, open-mindedness). Longitudinal research has confirmed such qualities powerfully predict academic, economic, social, psychological, and physical well-being (Almlund, Duckworth, Heckman, & Kautz, 2011; Borghans, Duckworth, Heckman, & ter Weel, 2008; Farrington et al., 2012; J. Jackson, Connolly, Garrison, Levin, & Connolly, 2015; Moffitt et al., 2011; Naemi et al., 2012; Yeager & Walton, 2011). We share this more expansive view of student competence and well-being, but we also believe that enthusiasm for these factors should be tempered with appreciation for the many limitations of currently available measures. In this essay, our claim is not that everything that counts can be counted or that everything that can be counted counts. Rather, we argue that the field urgently requires much greater clarity about how well, at present, it is able to count some of the things that count. Reference bias is apparent in the PISA (Program for International Student Assessment). Within-country analyses ofthe PISA show the expected positive association between self-reported conscientiousness and academic performance, but between-country analyses suggest that countries with higher conscientiousness ratings actually perform worse on math andreading tests (Kyllonen & Bertling, 2013). Norms for judging behavior can also vary across schools within the same country:Students attending middle schools with higher admissions standards and test scores rate themselves lower in self-control(Goldman, 2006; M. West, personal communication, March 17, 2015). Likewise, KIPP charter school students report spending more time on homework each night than students at matched control schools, and they earn higher standardized achievement test scores—but score no higher on self-report questionnaire items such as “Went to all of your classes prepared” (Tuttle et al., 2013). Dobbie and Fryer (2013) report a similar finding for graduates of the Harlem Children’s Zone charter school. There can even be reference bias among students in different grade levels within the same school. Seniors in one study rated themselves higher in grit than did juniors in the same high school, but the exact opposite pattern was obtained in performance tasks of persistence (Egalite, Mills, & Greene, 2014). Now NAEP will add to the mountain range of data being collected on America’s students. For what, who exactly knows? The NRC's Board on Science Education recently released a report to help education leaders, policy makers, and funders in both school and out-of-school settings make informed decisions to broaden access to multiple, high-quality STEM learning opportunities in their community. The report identifies features of productive STEM programs in out-of-school settings and illustrates how interest in STEM and deep STEM learning develop across time and settings. It provides guidance on evaluating and sustaining programs. Click here to download a free PDF of the report, read the report online, or order print copies. The PSEG Foundation is accepting applications from afterschool, summer and youth development programs to develop new or enhance existing STEM (Science, Technology, Engineering, and Math) educational opportunities for students. A total of up to $250,000 in grants will be awarded by the Foundation through its PSEG Science SPARK Partners funding program. The PSEG Foundation will consider applications from our New Jersey service territory, as well as Salem and Cumberland counties, and our service/operation territories in Long Island and Albany, NY, and Bridgeport and New Haven, CT. The number of recipients and their award amount will be decided based on the strength of the proposals received, at the discretion of Foundation staff. Applications must be completed and submitted by Friday, August 14 at 5 p.m. EST. All applicants will receive notification about funding decisions in late September. Applicants may apply directly through PSEG's online application under the PSEG Science SPARK Partners link. Visit www.pseg.com/community to apply. 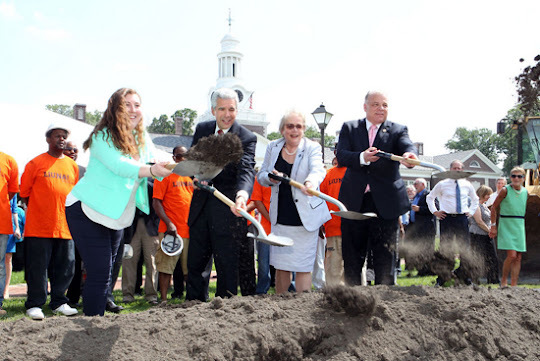 The PSEG Foundation (501c3) is the philanthropic arm of Public Service Enterprise Group (NYSE: PEG). The Foundation generally supports and invests in programs in three areas: community and the environment, education and safety. 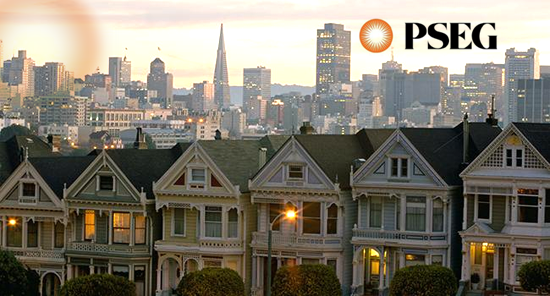 The Foundation provides grants to organizations in communities served by PSEG and its subsidiaries. Sure, STEM can be hard, but telling kids "not everyone can do it" may make both boys and girls less inclined to try. We're used to reassuring our kids: "It's OK – not everyone can do difficult math." But believing such messages may deter both boys and girls from choosing to pursue degrees in physical science, technology, engineering and mathematics (STEM) fields, according to a new national, longitudinal study published in Frontiers in Psychology. Instead, the key to piquing their interest in STEM may be telling them it's OK if they find the subjects hard to master. "Students may need to hear that encountering difficulty during classwork is expected and normal," argued Lara Perez-Felkner, a coauthor of the study and assistant professor of higher education and sociology at Florida State University. The study used data from 4,450 students in the United States who later entered college to probe why some students shun math-intensive fields. The researchers' reasoning: If a student thinks math is too difficult, they become reluctant to try it. High school students who believed they could master the toughest math concepts were more likely to major in math-intensive fields at the college level. Similar results were found for students who believed "most people can learn to be good at math" – something psychologists call a "growth mindset." Gender gaps in beliefs were modest. In 12th grade, boys rated their math abilities higher than girls did by 0.2 points on a 4-point scale, for instance. Despite the mostly gender-neutral findings, popular press ran with a story about girls lacking math confidence. "Misperception discourages girls from studying math-intensive science," proclaimed the study's press release. "Why do girls doubt their maths ability in the first place?" asked another outlet. 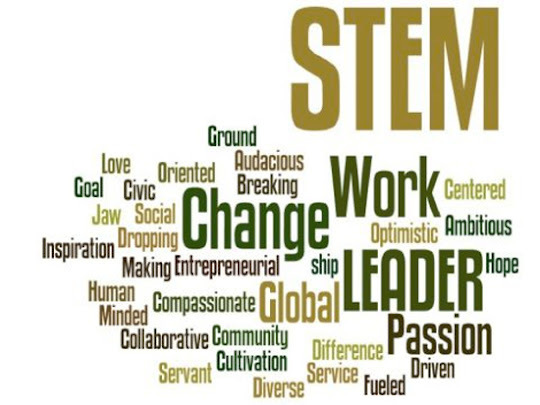 Some gender gaps in STEM are large. Men outnumber women 3-to-1 among college graduates in math-intensive STEM majors. But accounting for gaps in confidence did not explain the much larger gaps in majors, the study found. Advancing inaccurate clichés like "women don't pursue science because of lack of confidence" does little to address the low numbers of women in STEM. Nevertheless, related studies suggest beliefs concerning hard work may still affect boys and girls differently in some contexts. Messages about how the mind grows with hard work especially improved middle school girls' performance on a high-stakes math test, according to a prior experiment. Professors prizing innate "genius" may also discourage women more than men, warned Andrei Cimpian, associate professor of psychology at University of Illinois at Urbana-Champaign. "Women's personal growth mindsets – although undoubtedly beneficial – may not be sufficient to buffer them against an environment that cherishes innate talent," he says. "It is crucial to look not just at what's in people's heads but also at the ability beliefs that are 'in the air,'" Cimpian concluded. 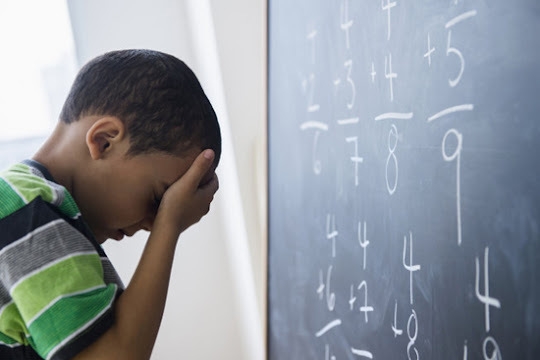 Teachers who believe that math intelligence is fixed can both comfort and demotivate students with messages such as "It's OK– not everyone can be good at math." Encouraging students to work their way through difficult math problems may actually help them change their mindset – and improve their outcomes. Struggling students' grades improve when they hear that intelligence can grow with hard work, according to a new study on "mindset interventions" involving 1,594 students in 13 high schools in the United States. Students spent roughly 45 minutes reading and then doing two writing exercises related to an article about the brain's ability to grow. 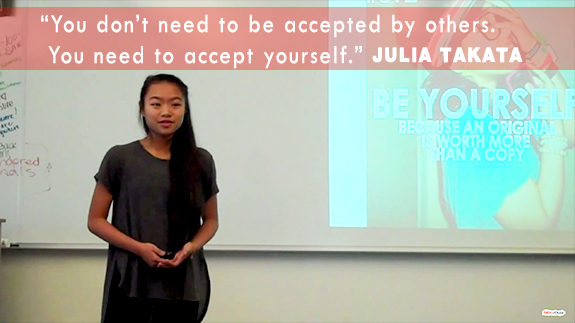 Click here to watch Julia's presentation or press PLAY on the video below. 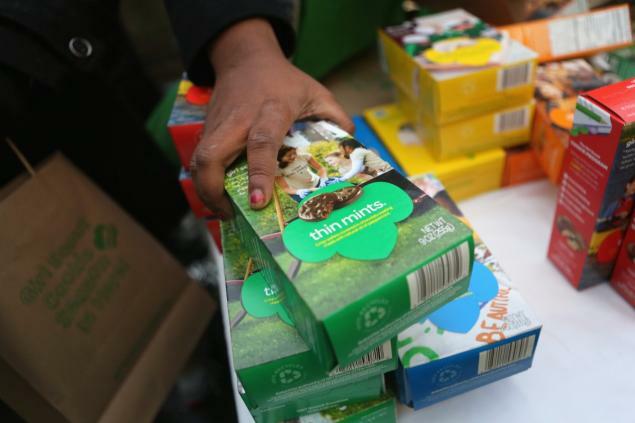 SEATTLE (AP) — The Girl Scouts of Western Washington said it has returned a $100,000 donation because it came with the provision that the money couldn't be used to support transgender girls.